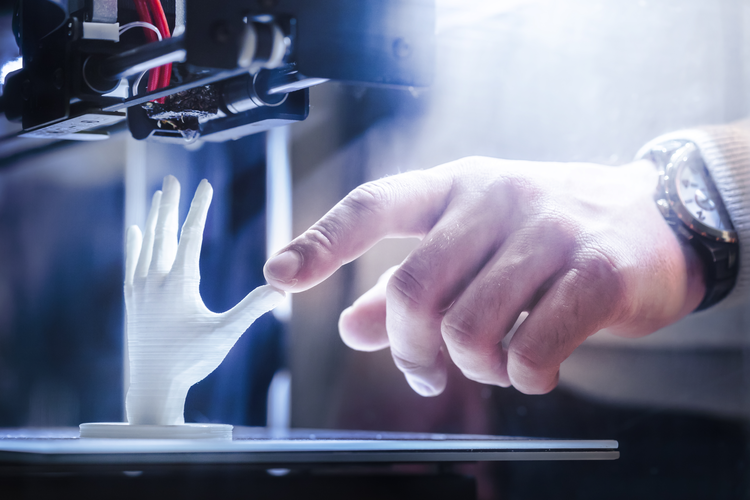 Since its inception in the 1980s, 3D printing has advanced quickly, going from a novelty to a mainstream manufacturing technology. 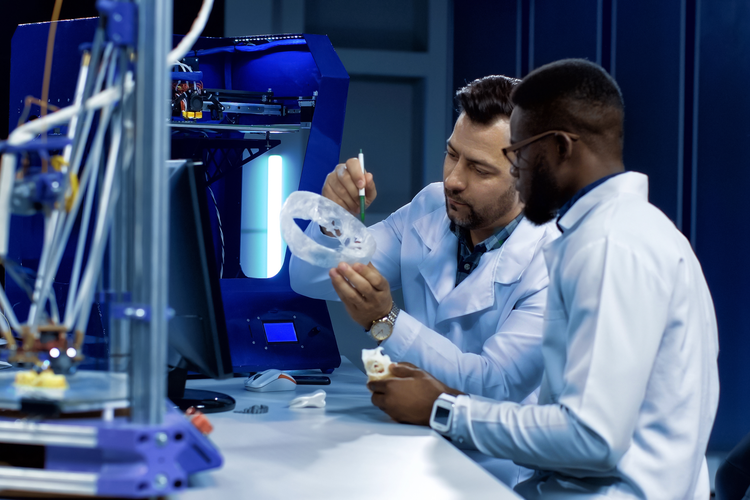 Allowing for the ability to customize and reduce waste, 3D printing has carved a place for itself in many sectors, including the construction and medical industries. 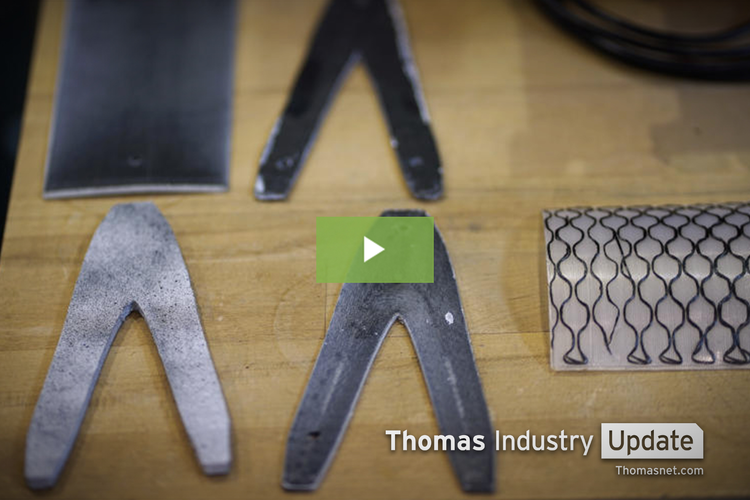 And in recent years, additive manufacturing has even started to find applications in the food and beverage industry. The process of 3D printing food isn’t so different from additive printing’s use in industrial applications; using an extrusion process and pureed food pastes instead of plastic filaments, a user simply inputs the shape they desire, and the printer produces the meal. Similar to the traditional industrial 3D printer market, there is a wide variety of food printing machines available, ranging from desktop to professional-grade. While this technology is certainly an innovative way to make a meal, these machines currently can only handle certain parts of meal preparation — most 3D food printers are not capable of cooking with heat, for example. As a result, these machines are currently more like ultra-high-tech kitchen gadgets. Some of them are designed to be used with patented food “capsules,” while others can use any pureed ingredient. Today, 3D-printed food is mostly experimental and playful, focusing primarily on easy-to-print items such as pancakes or candies. 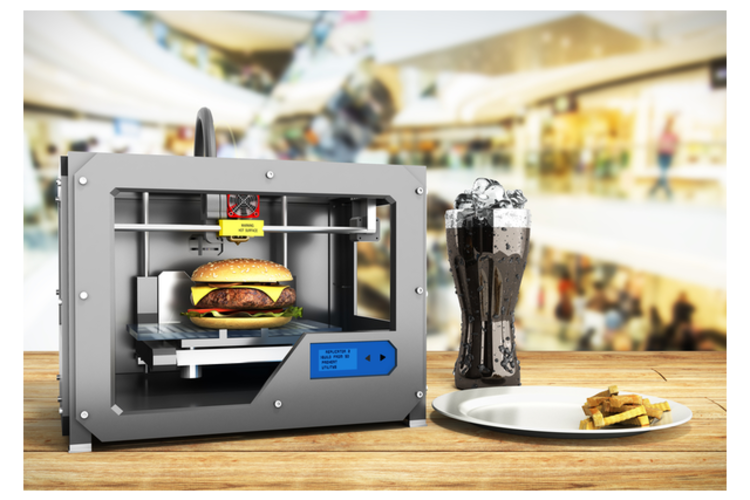 However, chefs and food enthusiasts have experimented with everything from mashed potatoes to ground meat, with a few restaurants and storefronts even incorporating 3D-printed food into their offerings. In spite of its limitations, 3D-printed food has taken the gourmet food world by storm. Tech-obsessed gastropubs and molecular gastronomy chefs are fascinated by 3D printing’s ability to create interesting, unprecedented twists using both traditional and unusual ingredients. Chefs have even used it to elevate plating presentation by printing meals in intricate patterns or creating bowls out of food substances. Both chefs and home cooks alike have used it to play around with different materials. By creating purees with vegetables, for example, parents can print out snacks in fun shapes to encourage their children to develop healthy eating habits. Some people have even experimented with making snacks out of recycled food waste. Outside of funky restaurants and creative cooking conceptions, 3D-printed food has also attracted the attention of some industrial sectors. Most notably, NASA, in an effort to develop sustainable food options for space exploration and Mars colonization, commissioned a startup called BeeHex to develop a 3D-printed pizza for them. And because it’s so customizable, 3D-printed food could open new doors of flavor experience for many who require or practice specialized diets. For example, the health care industry could provide more palatable options to people with dysphagia and other conditions requiring diets with specific consistencies. Even for those without specific needs, 3D printing could offer a substantially healthier alternative to traditional processed foods. 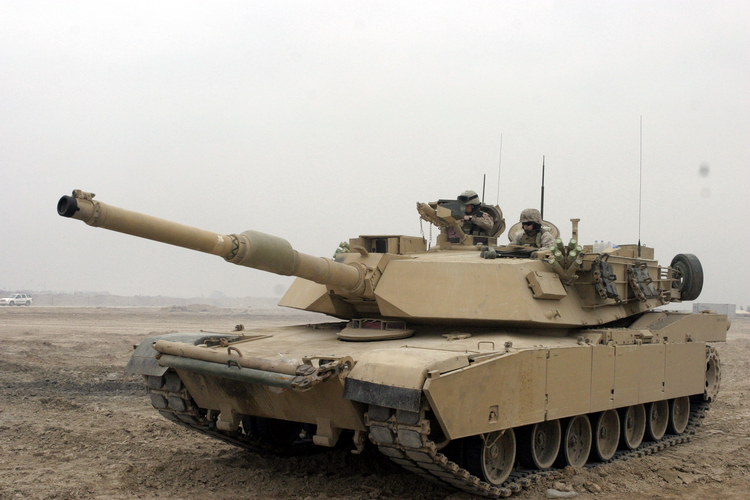 The U.S. Army has also expressed an interest in harnessing 3D printing’s ability to create highly customized foods in order to create made-to-order foods for individual soldiers. Using sensors, a device would measure a soldier’s physiological status and then transmit that data back to the base, where a 3D printer would concoct a custom-tailored meal bar or powdered drink to help rectify any nutritional imbalances. In addition to all of these benefits, some believe that 3D-printed food could be the answer to global issues such as world hunger. It’s projected that the globe's population will reach 9.6 billion by 2025, which will put a heavy strain not only on food producers, but also on food sources themselves. 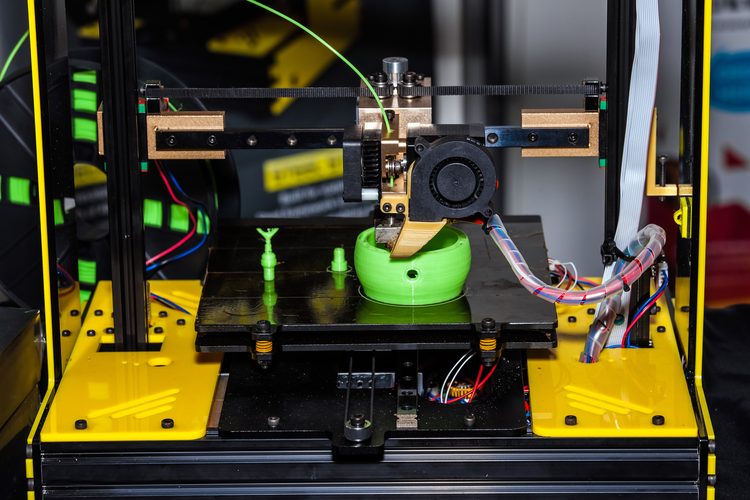 3D printers can make use of abundant sources of nutrients, such as algae, and transform them into appetizing foods that can be mass-produced fairly easily. Because the 3D printing model creates a direct-to-consumer system, dynamic forecasting analytics will become absolutely paramount as food companies will have to determine a wider variety of offerings, including shapes, flavors, customization options, and recipes, all while juggling FDA regulations. Packaging, logistics, and material procurement will also change as the uptick in product diversity will present a whole new set of demands. Although 3D-printed food is still in its infancy, it has already garnered a high degree of interest, and the likelihood of it becoming the next step in food production is growing steadily. Already, a few major brands such as Barilla have started to experiment with 3D printing to create fully customized products. 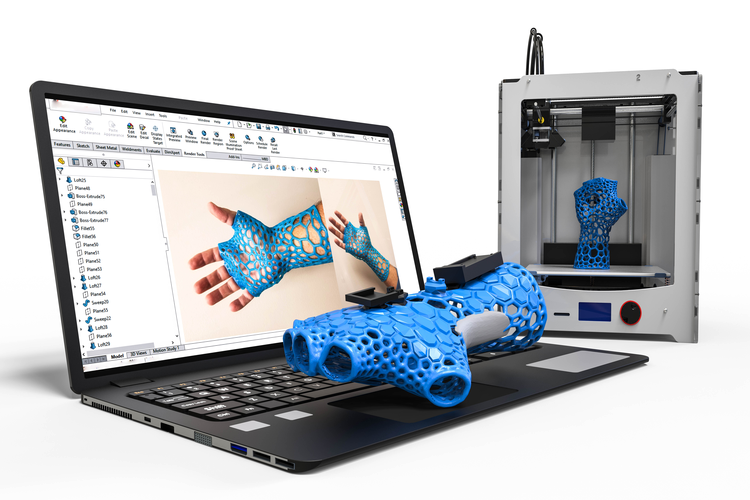 Ultimately, with 3D printing upending the entire production process, supply chain practices will also have to be recalibrated at multiple levels in order to keep up with the disruption.